So, this study in green was an experiment. Call it channeling my inner red-headed magician. 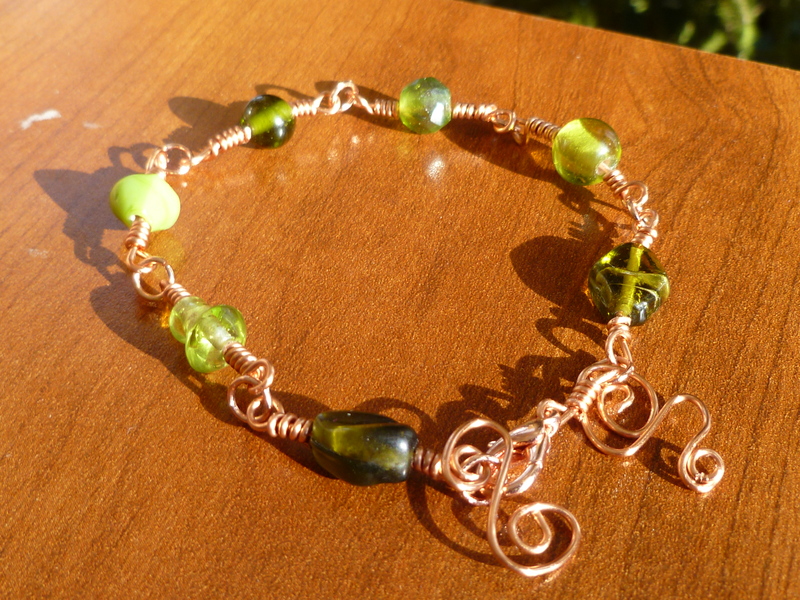 Delicate chain bracelet with lobster-claw clasps. 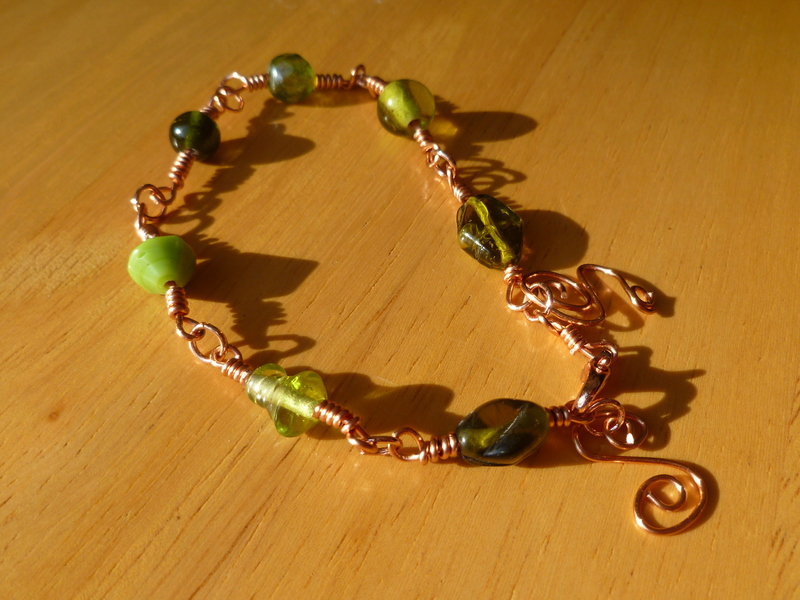 Two hand wrapped copper dangles frame a linkage of hand-wrapped glass beads in a variety shapes and green hues. 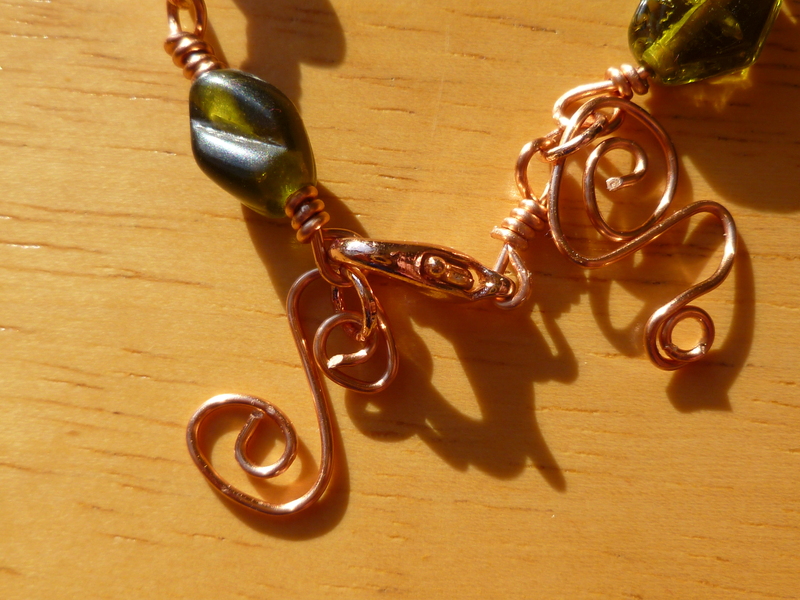 The two copper dangles can be removed, if they aren’t to your liking…or they can also be used to extend the size.